Localise supplies: Victory gardens again? Many of the peak oil doomsday preppers I know claim that it takes energy to make energy systems, and that every wind turbine or nuclear power plant that was ever built was built in a cheap oil economy. They claim peak oil is so close that even if there was a viable alternative energy system, it’s already too late, and we simply do not have the traditional oil and gas and coal left to build out the next system. Sane people who love their families should sell up and move out — out to some rural hideaway nirvana where you put years of backbreaking labour into preparing a survivalist farm compound with plenty of tinned food and ammo. 2. What sudden oil crisis? Keep in mind that global Peak Oil models a kind of reliable decline of world oil supply at a few percent each year. Peak-oil doomers claim there are many scenarios where oil depletion could happen so quickly that everything will collapse into anarchy before we can build out the next transport systems. But how? There seem to fall into 2 main camps. But how that works out in the geopolitics of national economies and the supply and demand of international trade is a very different thing! Oil exporting nations can suddenly become an oil importing nations, causing chaos on the world oil market that could dramatically impact on price. It’s called the Export Land Model. Oil exporting nations tend to do well economically, increasing the number of cars and trucks and general oil-consuming economic activity they indulge in. If they’ve been exporting oil for a while, they may be close to peak. Then suddenly after they peak, their own oil supply cannot meet their own domestic oil demand, and they suddenly become oil importing nations. For example, the wiki says Indonesia went from exporting 152 thousand barrels a day to importing 188 thousand barrels a day in just 5 years! If this effect cripples some of our major oil exporting nations, it could wreak fairly sudden havoc on the global oil market. As climate change and peak oil start to effect the world marketplace, many doomers predict a variety of international competitions – or outright conflicts – where nations are likely to imitate the 1973 oil Arab oil embargo. This is less about the oil supply drying up, as the nation involved turning off the valves! It would probably cause a serious economic crisis, maybe even another Great Depression. But that is vastly different from the various ‘inevitable Mad Max’ scenarios we read about on doomer websites! A global oil crisis could finally stimulate governments to build out sustainable energy independence so that they create jobs and oil free transport systems at the same time, incrementally improving their economies and weaning off oil. Many nations developed comprehensive emergency rationing laws in the 1970’s oil crisis. These laws prioritise oil to essential sectors like agriculture, mass transit, and important long-haul freight. Nations could sign on to an Oil Depletion Protocol to try and stabilise the price while building new infrastructure. Australia had various plans for converting old WW2 diesel cargo ships into 100% sailing boats! “Half the world’s population lives within 60 km of the sea, and three-quarters of all large cities are located on the coast.” (United Nations). Instead of driving produce from Queensland to NSW, Victoria, Tasmania or Perth, we’ll just sail it. Directly. Electric trucks will deliver goods from the ports to the urban areas (point 3 above). These trucks could even daisy chain to supply more inland rural areas. I remember the story of a truck full of tomatoes heading from Sydney to Perth, and another truck of tomatoes heading from Perth back to Sydney both stopping either side of a bushfire that lasted for a few days. The produce perished. Trucking the same produce back and forth across a nation has to stop! In a real oil emergency, we’ll not only localise some of these silly “3000 mile caesar salad” ingredients, many of the unemployed could be put to work in emergency Victory Gardens. We did this in World War 2. Cuba did something similar after their major oil supplier — the Soviet Union — collapsed. This time it would be a war on oil, instead of for oil! We would encourage local groceries as a matter of national emergency and pride, and only ship the most energy dense long-life canned and packaged foods to inland rural communities. It’s obvious that you double the efficiency of a vehicle when you put an extra person it, quadruple it if you put 4 in! Cuba had traffic cops that would wave down a car with space in it and put a hitchhiker in! Mobile phone apps make car sharing even easier. City drivers may dump the car for a pushbike, save money, lose some weight, get fit, and feel happier about life! Some might even have the money to buy an electric bicycle for those tricker hills. In a really tight oil crisis, many people would be bankrupt and might seek reemployment driving a rickshaw! This might transport the elderly or infirm. In a really tight oil crisis, pushbikes can also be rigged up with trailers to transport the most essential goods inland! There could even be solar powered fridge trailers to carry essential medicines, etc. There would be a high degree of unemployment, so cyclist-for-hire would be a sought after job! Cycle tour guides talk about bikes only carrying cycle packs travelling 40 to 60 miles a day (or 64km — 100km). But that’s just an average cyclist carrying average tourist gear. A professional cyclist would be fitter and able to carry more weight, and possibly even more distance each day. Again, we’re talking emergency measures. All manner of goods and services can arrive by bike. In fact, in some countries they already do! (See Logistics by bike). In the first 6 months we’ll get by on the emergency measures above. But as peak oil continues to bite, we’ll witness other emergency plans. As we saw on my RAIL page, trains and trams are best for solving the geometric challenge of moving people in high-density cities, and for encouraging New Urban growth around new transport corridors. They’re the best long-term plan for a normal economy. But what about a sudden oil crisis that catches us off guard? Imagine your own scenario for a perfect storm of peak oil and war and terrorism cutting off our oil supply. Imagine the economy is already stressed and we don’t have the money to invest in rail, or more importantly, the time to wait for it to be built! In a real emergency, we need a cheap public transport system for the busiest transport corridors, so that the surrounding suburbs can have something to cycle to. Trolley buses are my pick for an emergency deployment of public transport for the following reasons. Trolley buses can be hybrid electric and synfuel, allowing them to go ‘off the line’ and serve side streets. 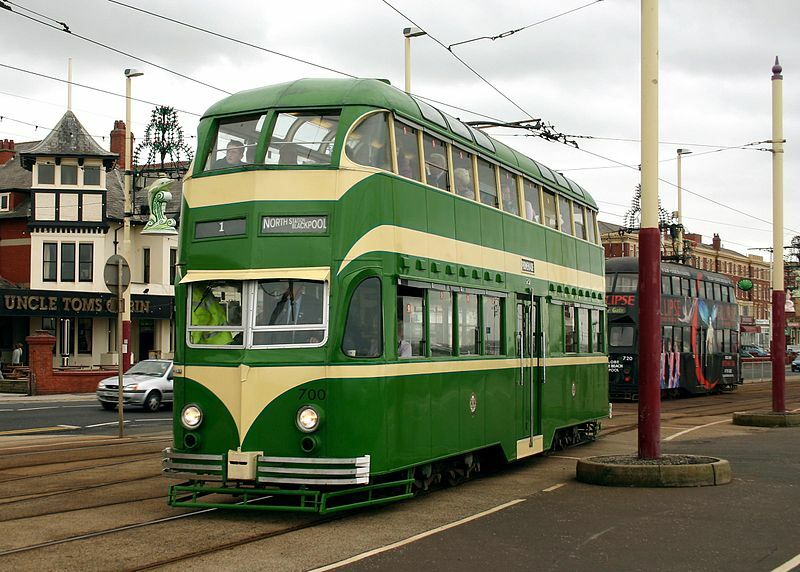 Trolley buses are 5 times cheaper! They give 5 times the transport coverage than trams do for the same money! My only issue is I’m not sure trolley buses give New Urban real estate developers the same confidence and incentive to invest money in New Urban developments around trolly-buses as trams do. By choosing the cheaper trolleybus over tram or metro, Quito could develop a much larger network in a shorter time. The capital investment of the 19 kilometre line was less than 60 million dollar – hardly sufficient to build 4 kilometres of tram line (source), or about 1 kilometre of metro line (source). Lower investment costs also mean lower ticket fares, and thus more passengers. “Environmentally friendly clean and efficient electric buses could run on the Ryde route to the city within a year with State Government initiative and support. This was claimed by leading transport engineer and National President of the Electric Vehicles Association of Australia Mr Roy Leembruggen at last week’s World Oil Crisis Forum in Ryde….. Mr Leembruggen said modern advanced electric buses would provide cleaner and more economically and reliable public transport than yesterday’s technology of trams and polluting fossil fuelled vehicles. An electric-powered passenger bus has been developed for use in central business districts. The “Townobile” bus, developed in Australia, uses normal industrial lead acid batteries to operate from three to four hours at speeds up to 30 mph. Models with up to 68-passenger capacity are planned. Elroy Engineering of Australia started work on the project in 1970 and production is scheduled to begin in July. “Townobile” can use overhead wires or self-contained batteries for a power supply. It can operate at half the cost of conventional diesel transit buses and involves one-fifteenth the capital outlay of an equivalent tramway system, according to inventor Roy Leembrugger. Trolley-truck for mining companies and other tasks! Mining sites may become a spiderweb of trolley-trucks running on electricity. Dirtier emergency fuels like coal-to-liquids might be used, which is not great from a climate point of view. But it might keep things ticking until emergency trolley-buses are built. Some places might install crude hydrogen combustion engines where local farmers and truck companies get by for a while on expensive local hydrogen generation. It’s not my favourite long term solution, but in a crisis it could work for a bit. Each year there would be a few percent less oil, but vastly more solutions coming out the other side of the bottleneck! As Cuba found, the population would be fitter under rationing. Electric car and truck sales would boom, and industries would re-tool around what was available until eventually adapting to the most sensible and economic long term solutions like trains, trams, trolley-buses and trucks, and recharged fuels like boron and synthetic diesel. There is a vast difference between a Great Depression and Mad Max. A sudden oil crisis might be really tough economically, but the other side would see a happier, healthier, and safer world.